Aiken Peace is a grassroots, nonpartisan, nonprofit organization dedicated to advancing the cause of peace through education, action, and advocacy. Since our inception in 2004, the organization has sponsored many community actions. We continue to grow with new members and activities. 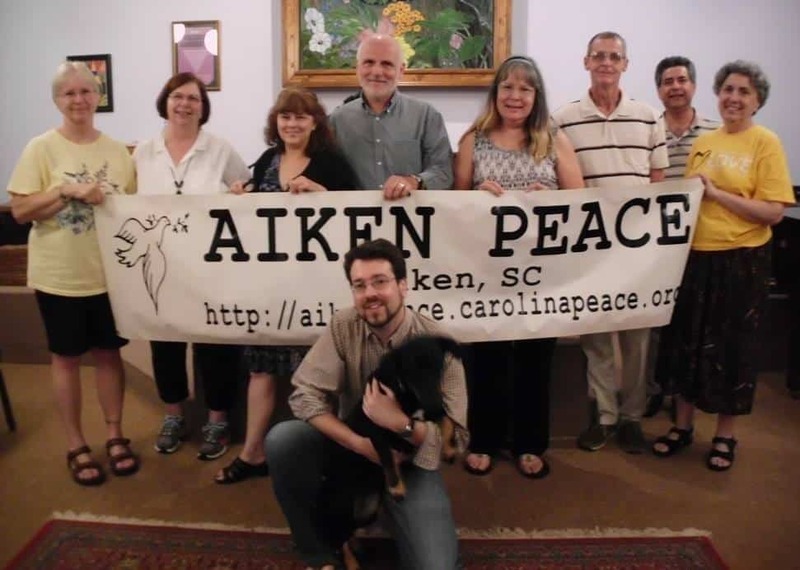 Aiken Peace is a chapter of the Carolina Peace Resource Center. CPRC was founded in 1981 to advance the cause of peace and justice by increasing public knowledge of peace and justice issues in South Carolina and coordinating the activities of groups and individuals throughout the state. The Center is a member of Alliance for Nuclear Accountability. For further information or to learn how to get involved, please visit www.carolinapeace.org. We are a small community of djembe drummers who love to learn and play West African traditional rhythms. Newcomers are always warmly welcomed and encouraged. West African drumming traditions are old and powerful. The djembe is one of West Africa’s best-known instruments. This goblet-shaped drum is traditionally carved from a single piece of African hardwood and topped with an animal skin as a drumhead. The dunun is a cylindrical drum with an animal skin at both ends and is played with a stick. It also originated in West Africa and is always played in an ensemble with one or more djembes. Connect to the power of rhythm and discover your inner drummer while playing drums, improving hand-eye coordination, stimulating brain activity and creating memories that will last a lifetime. Come join the fun and connect with our wonderful rhythmic community! Community Drumming Groups are held on the 1st & 3rd Sunday of each month at the church: dunun at 2:30pm, and djembe at 4:00pm. HealthRHYTHMS is a group drumming program developed to promote healing and wellness through the sacred use of drums. HealthRHYTHMS Sessions are scheduled at various times throughout the year where groups gather for 1 – 2 hours using drums as a tool for health and well-being. The cost varies based upon the length of the session. Private lessons are available upon request from AUUC member Julie Evonna, Ed.D, who is a certified HealthRHYTHMS facilitator and a certified Associate Instructor with Tam Tam Mandingue (TTM), Winston-Salem, NC. The Memorial Garden is located just to the left of the church’s front entrance and was designed and created by our own Tom Brandner. Many volunteers helped in the planting. The Garden welcomes all who come to AUUC and commemorates some of our beloved members who have passed on. It also offers a beautiful site for marriage ceremonies, which have been conducted within the garden by the Japanese Maple. Help with fundraising to support the Garden. Participation does require you to get dirty, but not too dirty while working in the garden. You will receive a variety of plants, bulbs, seeds, and tubers for your efforts. These are extras from Tom’s cold frames, garden at his house, and his private park. 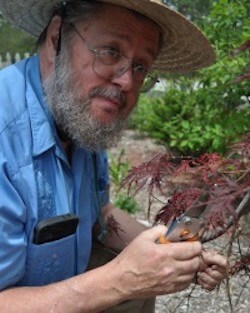 Tom has taught gardening for high school credit and for Community Action on how to raise plants for food. He has received the Excellence in Horticulture Award from the Western Carolina Fair. For further information or to lend a hand in the garden, please email Buildings and Grounds with “Memorial Garden” in the subject line. PFLAG Aiken provides education, advocacy, and support for parents, families, and friends of lesbian, gay, bisexual and transgender persons. Attendees of Aiken PFLAG meetings have included parents seeking information to help their LGBTQI identified child, as well as queer youth and young adults who have sought support for their coming out process. 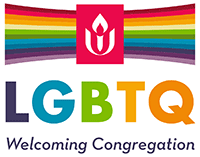 PFLAG Aiken is a chapter of the national PFLAG non-profit organization with over 200,000 members and supporters and over 350 affiliates in the United States. Our Vision: PFLAG Aiken envisions a world where diversity is celebrated and all people are respected, valued, and affirmed inclusive of their sexual orientation, gender identity, and gender expression. Our Mission: By meeting people where they are and collaborating with others. Advocacy in our communities to change attitudes and create policies. Our meetings are held on the fourth Thursday of each month at 7:00 pm at the church. For more information, please visit www.pflagaiken.com. Our AUUC “choir”, the Principle Singers, have been singing together since the summer of 2009. Because our director, David Brown, is also our accompanist, we sing more in the style of an a capella group. All voices are welcome, and no prior experience singing in a choral group is required. All that is needed is a desire to sing and to contribute to the worship services by providing music that inspires, and a commitment to attend rehearsals as often as possible. We generally practice on the 2nd and 4th Sundays of every month in the sanctuary before the Sunday service. Our repertoire comes from many sources – the UU hymnals, traditional folk music, contemporary and Broadway songs, as well as top-40 tunes. Several of our favorite songs were suggested by members of the group. We sing in unison as well as in 2, 3 and 4-part harmony, and solo opportunities are available. Singing together in harmony provides a special experience of community and a chance to give to our congregation in a special way. Please come and sing with us! For further information, email our director. We are a woman centered group with an intention to create sacred space. We explore the complexities of who we are, while developing a community of nurturing support. Each time we meet we explore a spiritual topic, complete a craft or sit and chat. The ultimate goal of Sisterhood is to support each other as we affirm our deep wisdom and higher selves. AUUC’s Sisterhood of the Spirit meets at 6:30 pm on the 2nd and 4th Friday of every month in the sanctuary at the church. The AUUC Women’s Book Club focuses on books by women authors. This is to support women’s voices in literary art. The diverse voices we chose, as a group, are by mutual selection, annual nominations, and votes. It’s our gathering for discussion, laughs, and friendship, while discovering an author and her words, that make this book club for the gals so special. We meet every second Saturday at AUUC at 12:45pm to discuss a book we’ve previously selected. There are books through December, so you can plan ahead, or read on vacation; join in any time. Time invested: reading book, and about an hour that day in conversation. There’s something special about hand-to-paper writing and the effect on your being. 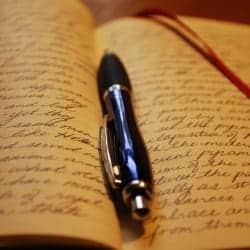 The first and third Saturday of each month, at AUUC at 11:30am, we gather, choose a topic, write for a few minutes and share (or not). We leave with joy and happiness and a sense of wonder at the wonderful images, and thoughts, our short time brings forward. Ours is for either the novice or scribe, essayist or abstract sentence piece designer, pen or pencil aficionado. Time invested: about an hour. Bring a journal, or we have paper. Contact womensjournaling@aikenuu.org for more information.